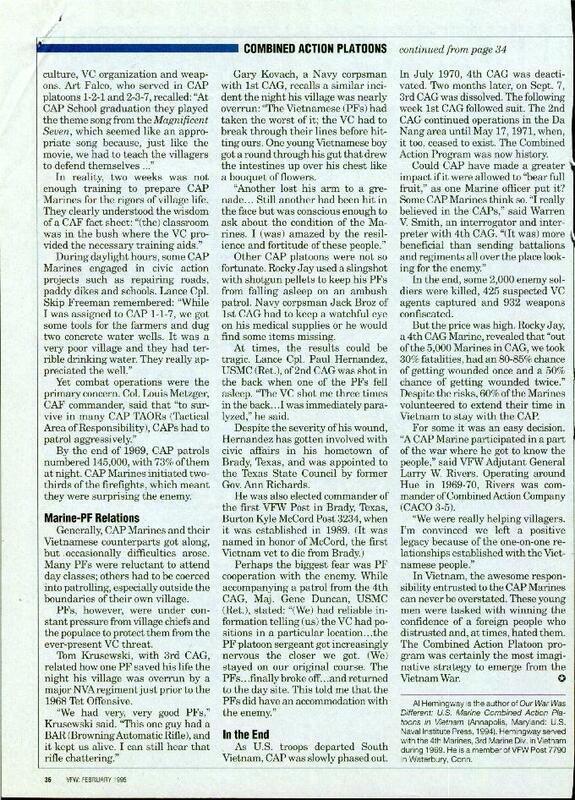 This article was submitted by Col. Ole Jessen Klixbull. Col. Klixbull was the CAP Commander for the subject unit for "CAC" article we've posted at: "CAC" He is currently a Colonel in the US Army Reserves. 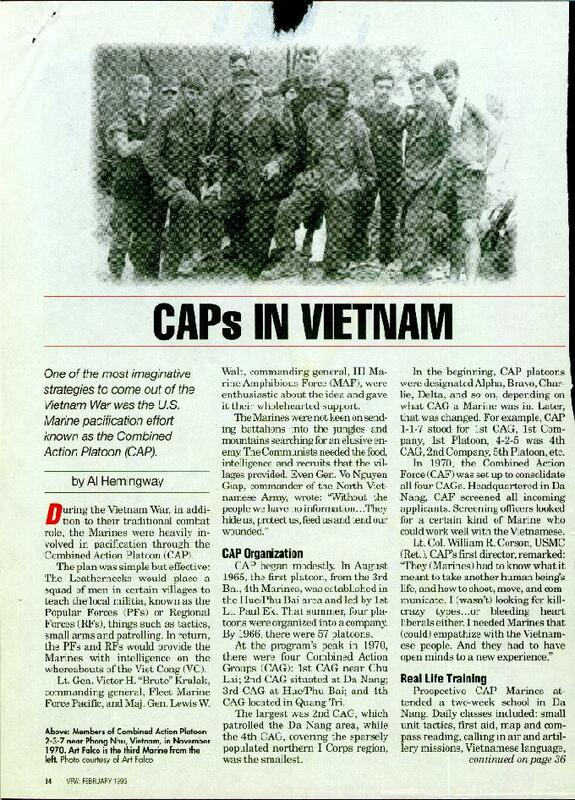 The picture that is included in that article is of CAP 2-2-3, dated February or March of 1971...includes some of the following members: myself, Eric Webb, Kevin Keenoy, Richard Ellsworth, Lucky Stallman, Dustin Hoffman, Les Neach, and "Doc" Wilson.